Let’s be honest. 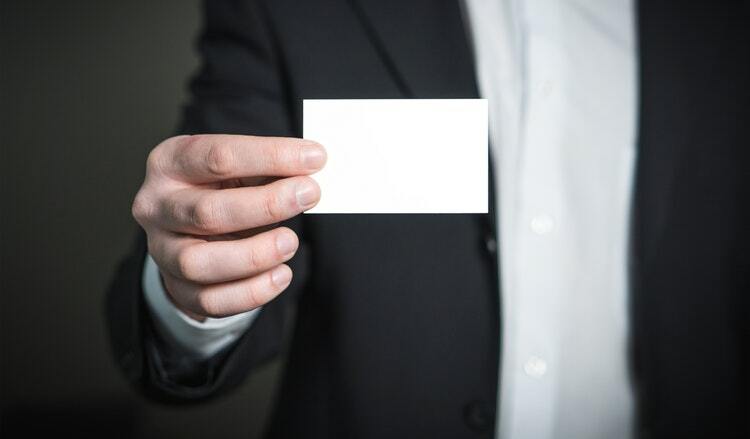 80% of the time, we either throw away a name card we have received at a function, or misplaced it because after all, it is nothing but a small and flimsy piece of paper. As with anything and everything in this digital age, networking has also gone virtual. E-business cards are basically digital ‘cards’ that you can create on your smartphones, and send it via a QR code to your contact’s phone or directly to his email. It is part of constructing an online profile and portfolio for your personal brand. Besides reducing the stack of cards in your pocket, your bag, or on your table, it saves you the complete hassle of entering a contact’s details into your smartphone or email address book as well, transforming networking into an efficient and effective exchange. You must remember - a person will not carry his name card holder or past name cards around, but they will always have their phones with them. E-business cards will therefore render you more memorable, easily contactable, and personal. Under today’s corporate climate, it is all the rage because it is stylish, efficient, and reduces carbon footprint. Better yet – it is free of charge and you can design it to an aesthetic of your preference. You may be wondering: How efficient or transformative are these really? Firstly, they show how technologically savvy you are. The e-business card is not fully adopted by all yet, so it can be impressive when you present a digital card instead of a traditional paper one. Secondly, you are caring for the environment. Yes, not manufacturing a 250-name card stack can help minimise our ailing planet’s carbon footprint. This leads us to the third point: the e-business card can be continuously updated without the need for costly reprinting whenever you change your job position, number, or office location (for independent business owners and freelancers). You do not want to bother yourself with the frustration and hassle of this when you spot mistakes as well. Fourthly, e-business cards are multi-functional. You can embed social media or portfolio links in your e-card so people can access them easily with just a click. Create multiple e-business cards for different purposes, especially when you can customise your logo, photo, contact information, and other social media details. Unlike the traditional way of exchanging business cards, the e-business card is malleable and adaptive to changes, making the act of exchanging vital information transitive and smooth. How do I make my e-business card stand out? Here is a list of some apps that you can experiment with if you are new to this. Free | SnapDat - This is one of the first few e-business card apps that is highly raved about and popular. With SnapDat, you can customise your e-business card with its basic template(s). It provides different styles, so you may change the colour or design as well. Free | CamCard - You can scan any existing business cards you have with this app, which has the feature of reading up to 16 languages! With CamCard, you can even batch-scan business cards to eradicate the long process of scanning 200+ cards individually! This app will also capture the information and store it as text instead of just an image. Paid | Haystack – Although it is a paid app (although there is a 30-day trial), it is a rather formidable one. You can create your own template according to your branding style. Working in a company of five or fifty? Haystack allows you to deploy the same look and feel for everyone in the company. It can also track the activity related to the name card. How many people have clicked on it? How many times was it viewed? The added features, which provides valuable information, seem worth the fee. Putting some effort now will save you a lot of trouble in the long run. Over time, the efficiency and customisable qualities of e-business cards will make networking and conducting business easier. Your digital card is bound to leave a lasting impression on those you meet. Read more articles here to help you get ahead in your goals and aspirations!